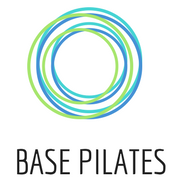 If you are a manager looking to improve the wellbeing and productivity of your workforce, a Pilates class is a great way to support your employees. Alternatively, you may be a group of work colleagues who are looking to commission a private class that fits in around your schedule in a space that your work can provide. Pilates can help relieve stress, and occupational related aches and pains. In my classes I aim to deliver effective and safe exercise as well as educating clients about posture and self care, and promoting positive stress management strategies, all of which can reduce the incidence of work-related musculoskeletal disorders. Please get in touch to discuss how we can work together to enhance your workplace’s health and wellbeing! You can also connect with me on LinkedIn.